Pioneers in the industry, we offer double arch expansion joints, high temperature expansion joints, rubber expansion joints, single arch expansion joints, fabric expansion joints and high pressure expansion joints from India. 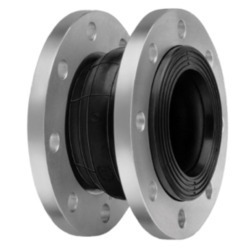 Being one of the preferred choices of our customers, we are involved in manufacturing, supplying and exporting an unlimited assortment of Double Arch Expansion Joints. Optimum quality rubber, obtained from our reliable vendors, is used for manufacturing these bellows. Rubber bellows are vastly appreciated for their high tensile strength. Our organization is among the acclaimed names in the industry for manufacturing and exporting High Temperature Expansion Joints. The offered joints are made in tune with the industry standards for offering ultimate solutions to the clients. These joints are durable, resistant to wear & tear and compact in size. The offered expansion joints are resistant to thermal expansion and high pressure as well. 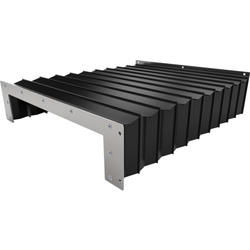 At our company, we manufacture, export and supply a wide assemblage of Rubber Expansion Joints. Owing to the high strength, durability and ability to withstand high pressure, these joints are massively desired. To provide flexibility and improve thermal stability, offered joints are inserted in piping systems. Our company is engaged in the manufacturer, export and supply of an extensive assemblage of Single Arch Expansion Joints. Proposed collection finds a massive utilization in chemical industries, power generation, water treatment plants and HVAC applications. Single arch expansion joints are provided in standardized packaging. We are among the preeminent names of the industry that manufacture, export and supply a massive assemblage of Fabric Expansion Joints. Offered assortment is manufactured in accordance with the predefined industry guidelines. Owing to the high strength and supreme durability, these butyl rubber bellows are vastly acclaimed. Our company is considered a renowned manufacturer, exporter and supplier of a gigantic assemblage of High Pressure Expansion Joints. Owing to the improved thermal stability, rugged construction and supreme finishing, these expansion joints are vastly admired. Before the final transmission, these joints are examined for their flawlessness. Perfect protection for man and machine. Hennig has designed and manufactured folded Bellow Covers for machine tools for more than 50 years. Our product range includes simple dust protection, material handling bellows, sophisticated designs featuring extension systems and/or lamellas, as well as special designs for laser machines. The optimum design for bellows is the heat-sealed version. The cover material and PVC guide frames are permanently joined. 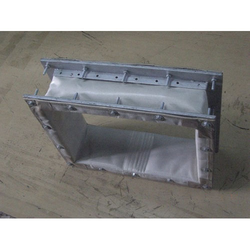 The connection of the bellows material and the guide frames ensures maximum loading capacity and absolute tightness against liquids such as cooling or grinding agents. For special requirements, e.g. 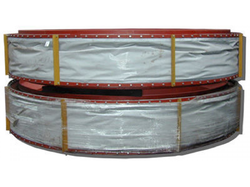 resistance to temperatures of up to 400 °C (752 °F), stitched bellows can be used. 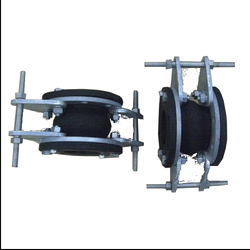 With the aid of sophisticated machinery and skilled professionals, we have been able offer supreme quality Rubber Bellows Expansion Joints to our valuable customers. Available with us at industry leading prices, these products are highly appreciated in the market for their sturdy construction and longer functional life. To ensure a defect free range, these joints undergo various quality assurance checks conducted by our team of quality controllers. Backed by a team of skilled and experienced professionals, we are concerned with manufacturing, supplying and exporting Rubber Bellows. Appreciated and accepted in the industry for their durability, abrasion resistance and high resistance to adverse weather conditions. Our clients can obtain these at industry leading rates.